Writing was always a natural medium of communication for me, but it went from a personal to a professional level in 2001. I credit the fascinating life mysteries of my husband’s Italian grandparents for the change. 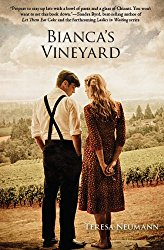 That year, at the acceptance of an invitation by my husband’s relatives in Tuscany, a visit to Italy turned epic and spawned my first book, “Bianca’s Vineyard.” That novel, and its sequel “Domenico’s Table” – both based on true stories – were my initiation into the world of being a published author. 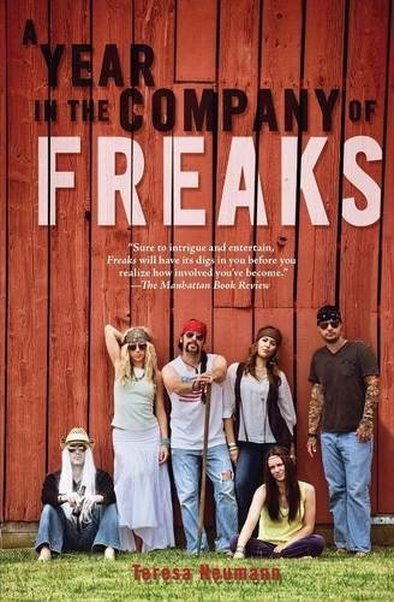 I took a bit of a risk, however, writing “A Year in the Company of Freaks” because it was a departure from my first two books in terms of time and location, although it still integrates some Italian themes. 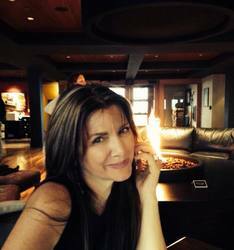 As an author, I’m open to exploring different subject matters and genres. Looking back, can you see any indications growing up that you would embrace writing as a career? A favorite memory would be great! I have always been a voracious reader. As a matter of fact, my mother was fond of telling me that I would just sit and stare at telephone books when I was a toddler. Go figure. In high school I was a total book worm and classic literature nerd. Ah, the written word! It never fails to seduce. As with most writers, I imagine, when stories come into my head I can’t help but put a pen to paper. It’s as natural to me as breathing. 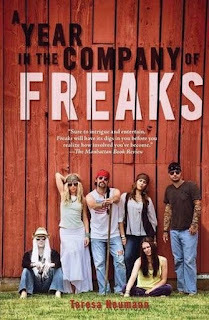 How did the idea to write A Year in the Company of Freaks come about? How much of the story was based on personal memories? My children, and their friends, were always asking my husband and I (former hippies) what it was like living in the late 1960’s and early 70’s. Like so many other epochs in history, that time period had been so over-generalized and romanticized that they imagined it was all love, flowers and rainbows. I lived in northern California in the early 70’s and count it a miracle I survived, considering all the truly stupid things I did. Like hitchhike. Everywhere. Every day … and night. That’s not to mention the friends I lost to drugs. So, since the truth was a bit less glorious, and because children have an uncanny ability to tune out what they don’t want to hear from their parents -- I wrote a novel based on personal observations of that time period. The good, the bad, and the ugly. What I enjoy most about writing is getting lost in the story as I create it. Once I’m committed to a book, I’m extremely disciplined, which means time flies. It’s only when I’m done writing the draft and I have to do major edits that it begins to feel like a chore. Ugh -- a big one! This is your third book. Has the process been the same for each - how you schedule your writing, research, marketing, etc. - or has it varied for each book? If so in what way? It’s basically the same process. I start each day reviewing what I wrote the day before. It “stirs up the creative juices” and keeps any potential writer’s block at bay. Though I love research, I prefer doing it first so that I don’t get bogged down or distracted once I start writing. As for marketing? I hate it. I’d much rather just write and meet with my readers! That said, Italian-Americans have been hugely supportive of my writing and have helped me market my books at various summer fairs. 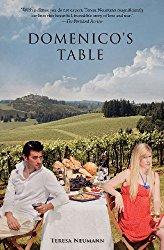 Several wineries have also hosted book signings. Thank God for them, social media, bloggers and digital book reviewers! What do you like to do to unwind? Do you like to read? Do you have any favorite authors/books? Unwind: What’s that? LOL! I love relaxing to a feel-good movie. No nail-biters. Nothing heavy where I have to think too hard. Reading, of course, is the best for unwinding. I just finished “The Nightingale” by Kristin Hannah. The novelist Elizabeth Goudge is a gem few Americans know about. I LOVED her book, “The Dean’s Watch.” Brian Doyle – recently deceased – was a Northwest author whose talent blew my mind. Though we may differ slightly on some of the world-views he espouses in several of his books (always tricky for non-partisan readers when a novelist showcases their leanings), I always give credit where credit is due. Perhaps the greatest American writer of this century, Doyle was an absolutely brilliant word-smith who could bring me to tears with his prose. Unfortunately, my other favorite authors/poets are also gone from this earth: Tolstoy, Dostoyevsky, Hardy, Dickens, Dumas, the Bronte sisters, Hugo, Tennyson, St. Vincent-Millay … How I would have loved to have met them all. What would you most like readers to know about you and your work? I’m an optimistic romantic/realist who treasures family and cherishes a simple life peppered with far-flung adventure. I dream of Italy, melt at the mere thought of French pastries, am a huge fan of British humor, and embrace my wild Celtic heritage … perhaps a little too much at times. I love people. I believe faith, unconditional love, forgiveness, and redemption play a vital role in humanity. They have in mine. What's next? Do you have anything new in the planning or writing stages? I’m working on a children’s book (it’s MUCH harder than I imagined it would be) and resurrecting a screenplay I wrote years ago; an adaption of a 17th century classic. I am VERY excited about it!